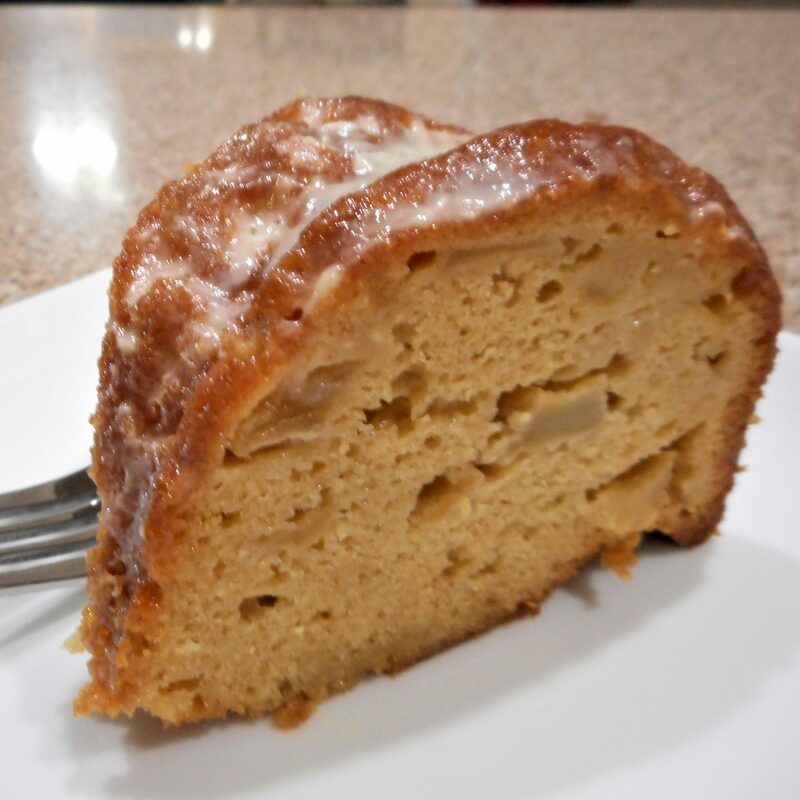 Start with a box cake mix, throw in some sour cream and a full pound of apples along with a few other common ingredients. What do you get? 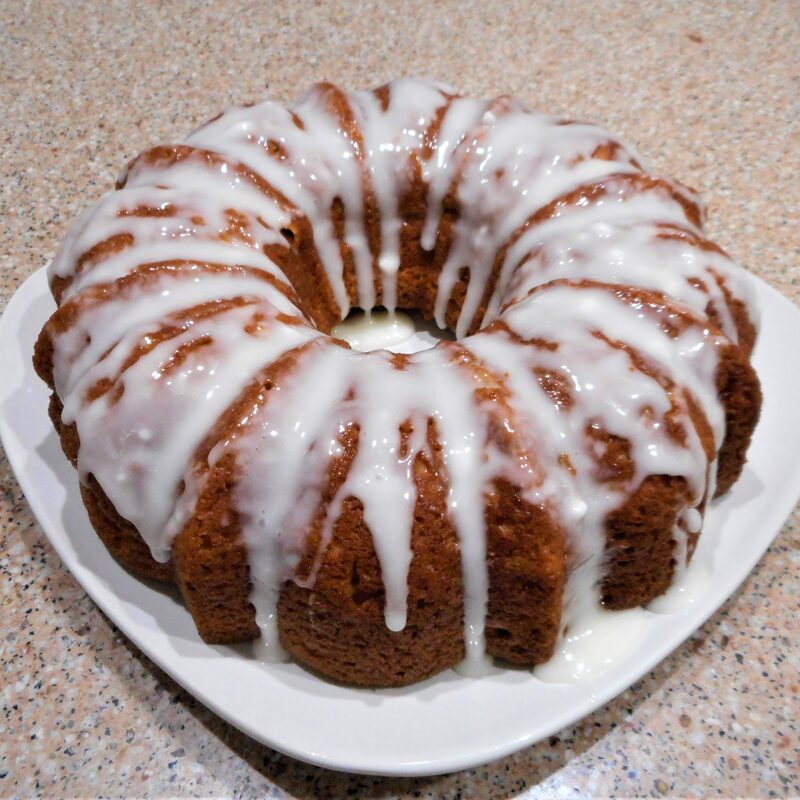 The simplest moist bundt cake, loaded with fall flavor. 2. Beat first 6 ingredients and 1/2 cup sour cream in large bowl with mixer until blended. Stir in apples. 3. Pour into greased and floured 10-inch tube pan or 12-cup fluted tube pan. 4. Bake 1 hour to 1 hour 5 min. or until toothpick inserted near center comes out clean. Cool cake in pan 15 min. Loosen cake from sides of pan with knife. Invert cake onto wire rack; gently remove pan. Cool cake completely. 5. Whisk sugar, 1 tsp. water and remaining sour cream until blended, then drizzle over cake. Let stand until glaze is firm.